Valtra H202 was designed as part of the Valtra Design Challenge by Lorenzo Mariotti, the vision is for the year 2040. As clean as it is mean looking, this self driving tractor is powered by an advanced hydrogen fuel cell/electric engine that results in enormous, consistent torque. As fun as it looks to drive, it’s meant to rely on an autonomous operation, remote control via an app, and laser guidance to enhance safety and efficiency in the field. 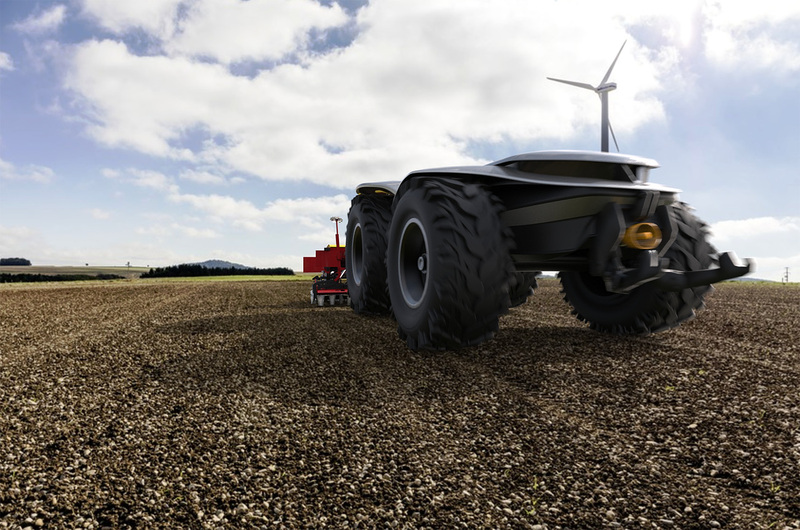 Despite its aggressive, ultra-modern look that’s almost reminiscent of a monster truck, the self driving farm tractor is an obvious evolution of the archetypical form of the tractor, making it instantaneously recognizable. If you want you can check other interesting concepts: Red and Zetor.